Christian E. Boesl was born and raised in Buffalo, New York, but after marrying a local Columbia girl, he quickly became a South Carolinian. Christian is a 1999 graduate of Brigham Young University and a 2003 graduate of the University of Arkansas at Little Rock School of Law where he was a Moot Court Champion, on the National Moot Court Team, and served as an Honor Council Justice. Prior to joining the Goings Law Firm, LLC, Christian was a shareholder and member of the management committee at Collins & Lacy, P.C. where he concentrated his practice on employment law and workers’ compensation. He chaired both the employment law and workers’ compensation practice group. Realizing he had a greater desire to represent individuals and those who were injured on the job, Christian joined, Of Counsel, with the Goings Law Firm to manage the firm’s expanding workers compensation practice. Practicing law for a large defense firm for 14 years gave him extensive experience in trying cases for insurance companies, corporations and small businesses. This proven record allows Christian to be an effective advocate for injured workers and his clients. He knows how these companies operate and what it takes to get the best result for his clients. Christian’s passion for the law comes from regularly representing clients before the South Carolina Workers’ Compensation Commission, in Federal Court, State Court, before the South Carolina Department of Employment and Workforce, the South Carolina Human Affairs Commission, and the Equal Employment Opportunity Commission. 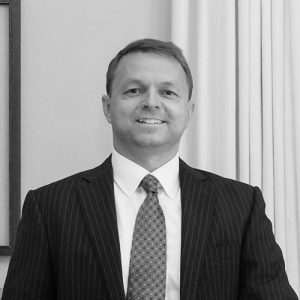 In addition to advocating for individuals before the South Carolina Workers Compensation Commission, Christian is also a certified workers compensation and circuit court mediator. Christian’s reputation has earned him an AV Preeminent rating by Martindale-Hubbell, and he is honored by being included in the prestigious Best Lawyer’s list. Additionally, he is also a South Carolina Super Lawyers Rising Star. There are no more than 2.5 percent of attorneys in the state named to the Rising Star list. He has regularly presented CLEs and spoken around the state on workers’ compensation and employment law topics. Christian is a member of the South Carolina Bar, the Richland County Bar Association, U.S. District Court, District of South Carolina, U.S. Court of Appeals, Fourth Circuit, and the U.S. Court of Appeals for the Federal Circuit. He holds a Board of Arbitrator and Mediator Certification, approved Circuit Court Mediator. He is also a charter representative for the Boy Scouts of America and an active member and serves as the current bishop of the local congregation of the Church of Jesus Christ of Latter-day Saints. Christian’s greatest achievement and most important part of his life is his family. He is married to Emily Boesl, and they are the parents of four children, ages 5 to 16. In his time away from work, you will find him sideline coaching for his boys on the soccer field, watching his daughter’s vocal/theatre productions and cross country meets, and working around the house with his family.